OLO Carton Cutter OLO-CACT Model J201B-12 prevents injuries while opening cartons with a revolutionary double protection system that keeps the blade shielded even during use. Ergonomically designed to substantially reduce fatigue and the self guiding opener increases productivity. 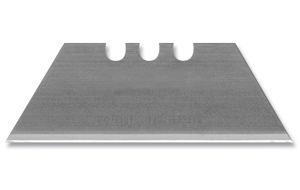 The unique and adjustable positioning of the blade assures the carton is cut, not the merchandise, to prevent damage. 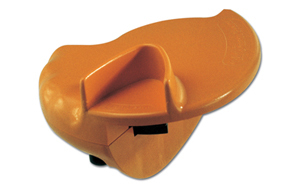 Made from high impact ABS plastic, this cutter features a blade storage compartment and strap attachment along with button release of the blade shield. Includes 3 extra blades. Uses OLO-5/B and OLO-100B replacement blades.